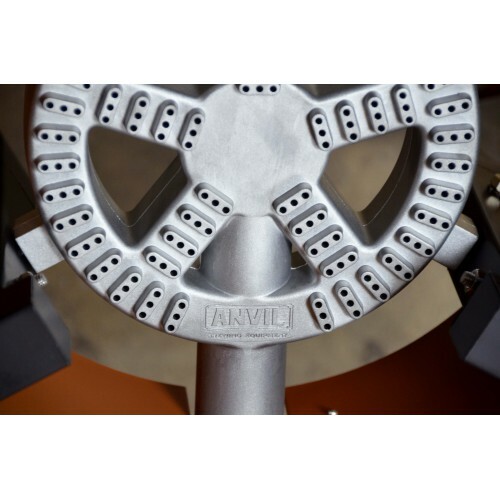 The Anvil Brewing Equipment High Performance Propane Burner is powerful, quiet, efficient, and fast! 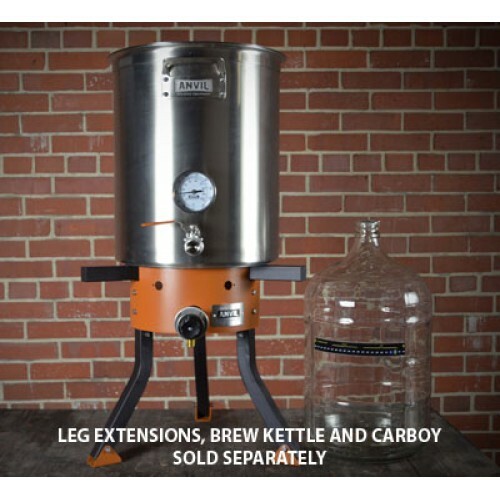 Since it was designed specifically for homebrewing it’s packed with features you’ll love! 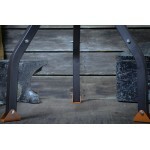 We suggest purchasing the optional 24” leg extensions (sold separately). -Self-leveling feet provide rock-solid stability -45,000 BTU/Hr output for fast heating. 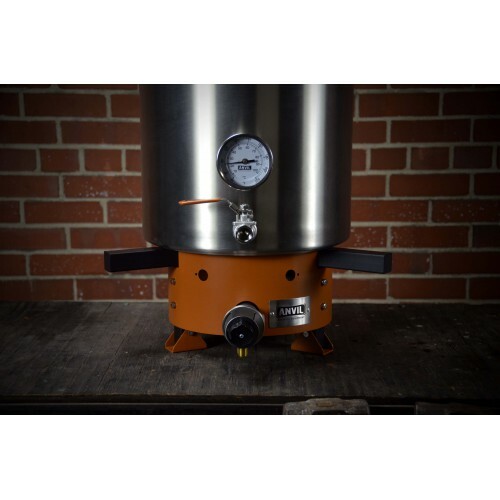 Boils 5 gal in approximately 20 minutes! 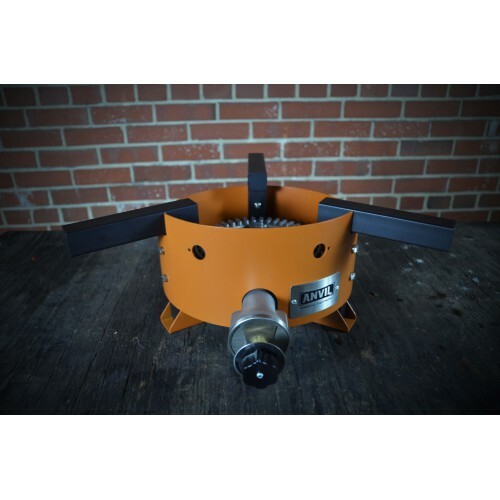 -Precision cast aluminum burner will never rust and provides superior flame control. -Patent pending integral heat shield protects your valve and thermometer from heat damage. 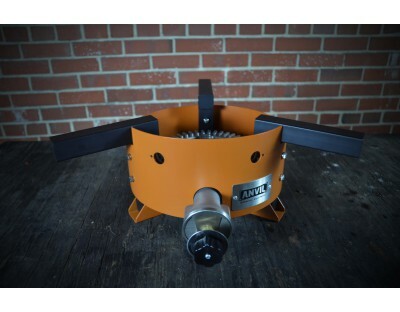 -Super deep burner ring is ideal for brewing in windy conditions. -Ultra-high temperature coating won't burn and melt like paint. 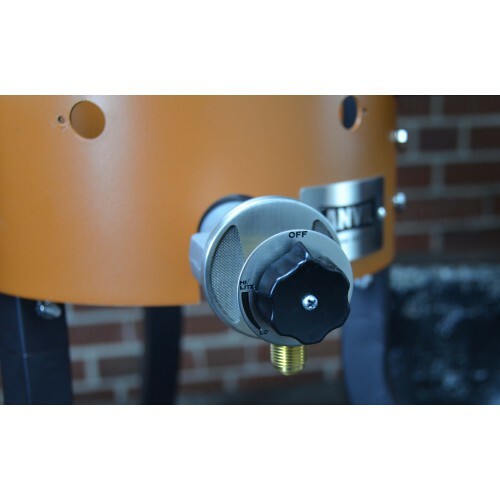 -Power control knob and adjustment-free operation makes flame control a breeze.